Over the last decade, we have witnessed an acceleration of modern technological advances especially for people suffering from diabetes, a medical condition that affects over 30 million Americans. less mental math about managing this condition. These new systems provide real time and more accurate information on blood glucose through built-in clinical support algorithms, apps, automated insulin delivery and wireless technology that reduce diabetes complications and the burden in general. According to CNBC, AAPL (Apple) has hired a team of biomedical engineers to work on a sensor that will detect blood sugar levels, sparking reports of the company embedding the new sensors into wearable devices that could potentially be “must haves” for diabetes patients. However, it could be a long time before this new technology is actually available on the market. This initiative was envisioned by Apple co-founder Steve Jobs, to develop a sensor that can continuously and non-invasively monitor blood glucose levels to better treat diabetes. There are some recent successes: CGM (Continuous Glucose Monitoring) systems including the Dexcom G5 Mobile continuous Glucose Monitoring System. This system uses a sensor through a very tiny catheter that is usually slipped just under the patient’s skin in order to provide glucose readings every five minutes. The sensor transmits information wirelessly to a stand-alone smartphone or receiver to alert the patient of downward or upward trends in their blood glucose so they can take appropriate pre-emptive action. If successful, this revolutionary initiative by Apple could help diabetes patients turn various devices such as the Apple Watch into essential must haves. The breakthrough might be a holy grail for diabetes patients because many life sciences organizations have tried to no avail. 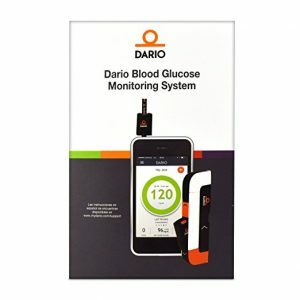 Tracking blood sugar levels accurately and non-invasively has proven to be highly challenging. However, According to people familiar with the matter, Apple has been carrying out feasibility trials and has hired a team of consultants to figure out the proper regulatory pathways. The initiative has been going on for more than five years. Steve Jobs envisioned a wearable device like the Smart watch being used to accurately monitor vitals such as blood glucose, heart rate and oxygen levels. Apple quietly acquired Cor in 2010 after the then CEO Bob Mersserschmidit sent Steve a cold email about sensor technologies for human health and wellness. However, Bob later joined Steve jobs’ Apple Watch team. The team reports to Apple’s vice president of hardware technology, Johny Srouji. As of a year ago, about 30 people were reportedly working in this group. However, it is speculated that about a dozen experts from companies such as Sano, Masimo, C Vital Connect, C8 Medisensors and Medtronic have joined this secretive group while others joined the team dedicated to the Apple Watch. According to three people familiar with the matter, Apple is dedicated to developing an optical sensor which will measure indications of blood glucose by simply shining a light through the patient’s skin. John L. Smith described this as one of the most difficult technical challenges he has ever encountered in his career. The process has been littered with failures but this has not stopped companies from attempting to crack this lucrative yet elusive opportunity. Terrace Gregg, Dexcom Executive chairman told Reuters that to succeed, companies would incur several hundred dollars. However, the breakthrough would me a huge advantage for millions of people suffering from diabetes, open up potential channels for patients to track their blood glucose and spur new medical research. The Apple Watch would provide an easier and more convenient way for consumers to track their blood glucose. However Apple is not the only company eying the elusive opportunities in this field. Google’s life sciences team, Verily, is also working on a smart contact lens that will measure blood glucose through the eye. In 2015, the team also partnered with Dexcom to develop a device no bigger than the normal bandage that measures blood glucose. According to the report by CNBC, Apple has hired an anonymous office away from its headquarters for biomedical engineers to work in total secret. The report also indicates that the team has been so successful it’s already conducting trials of the new sensor at various clinical sites in the Bay Area, San Francisco. The team’s recent success is the main reason why Apple has hired consultants to navigate the process of getting approval by the FDA. One of the practical issues the team aims to overcome is the fact that reading blood glucose using optical issues is hard. On the other hand, there are numerous companies that have tried using non-invasive monitoring for blood glucose and failed. For instance, HealBe’s Go Be promised to count calorie intake non-invasively and failed terribly. Right now, inserting a sensor just below the skin is the only effective way of continuously monitoring your blood sugar level. Continuous blood glucose monitors use internal sensors that connect with external transmitters that are often held, for example, on the thigh, tricep or stomach. Even wearables such as the KTrack use very tiny needles that are burrowed into the patient’s skin. Statistics from the WHO (World Health Organization) show that there are more than 422 million diabetes patients in the world. That is up from about 10 million in 1980, a very sharp increase for a condition that is know to be one of the leading causes of kidney failure, heart attacks, stroke and blindness. Moreover, more than 4 million deaths per year are directly related to complications with diabetes . Therefore, if Apple can innovate, where so many companies have failed, then it will undoubtedly make the number of consumers willing to buy the Blood Glucose Monitoring Watch, increase exponentially! 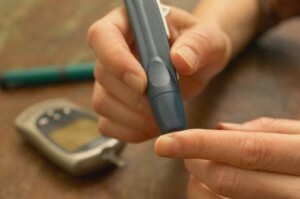 The routine activity of pricking fingers to monitor blood glucose levels is quite hectic for most people with diabetes. Despite this dreadful daily process, the management and control of diabetes is very important. Fortunately, new glucose meters that don’t require blood, for checking blood glucose levels are being developed by numerous companies around the globe, as we speak – welcome relief for many, many diabetes sufferers. FreeStyle Libre by Abbott is an entirely new glucose monitoring concept that provides much greater data than CGM (continuous glucose monitors). The readings are provided by simply scanning a sensor instead of pricking your finger. Users can see how much results are trending downwards or upwards by simply scanning the sensor. The FreeStyle Libre sensor is waterproof for 30 minutes in up to 1 meter. More affordable than continuous glucose monitors. One of the main benefits of FreeStyle Libre is that it stores up to 90 days of data and you can easily analyze your glucose trend over three months. For Freestyle Libre Australia Updates, Click Here. GlucoWise allows the concentration of blood sugar to be measured at the blood capillary level. Blood glucose levels are measured by a non-invasive technique by transmitting low-power radio waves (65 GHz) sections of the body such as the earlobe or between the forefinger and thumb. Besides having adequate blood supply, the tissue in these areas is thin enough for the radio waves to pass through. The radio signals are received by a receiver that collects and analyzes data about the characteristics of your blood. User data is digitally encrypted and transmitted via Bluetooth 4.0 to ensure that user data is never shared with third parties. Data can also be uploaded to secure online database or transmitted to computers using a USB port. Although GlucoWise is still in development, it is expected to be available in late 2016. Dexcom G5 is a CGM (continuous glucose monitoring) system that is approved for both adults and children two years and older. Dexcom G5 mobile uses Bluetooth technology that is built into a transmitter that allows for remote viewing of blood glucose levels and trends from compatible smart devices. Users can monitor glucose data by using a Dexcom mobile receiver or the Dexcom G5 mobile app. Its small sensor measures blood sugar levels just underneath your skin. The transmitter is secured on top of the sensor in order to send in order to send data to your receiver or compatible smart device. Either the Dexcom receiver or a compatible mobile device will display glucose trends in a colorful display so you can easily see when it’s within range, high or low. With Dexcom G5, users will be alerted directly on their smart devices when they’re heading too high or too low. Moreover, alerts can be customized to appear as text messages for additional privacy and discretion. Fantastic news, for the diabetes industry, and for everyone patiently waiting in the Diabetes Community too!